Quick Links: Festoon 31mm to 400lm conversion - no BS PIAA plasma ion h3 bulbs LED Headlight for 17 Tacoma My Westin light bar Got ideas for better backup lights? Girl meets tacoma, headlight questions! Discussion in 'Lighting' started by Badwin45, Oct 6, 2010. Aries 4" Oval step tubes, Brute Force Fab rear bumper, Weathertech digifit floor liners. I was looking at using an OEM fog light switch for my driving lights until I ran across this one (http://www.oznium.com/gsw-45-led) for $13 that was linked by someone else on here. Looks sharp and I like it better than the factory "push-button" switches. Note: You do have to trim the insides of the switch blank holes to fit the switch in but it's invisible once the switch is in and the blank should fit back in without issue should you decide to remove it. I ordered two switches, one red, one amber, to see which I liked better in the dash and decided on the amber switch. The switches can come with either 1/4" blade connections or screw terminals. The amber switch had the screw terminals so I disassembled both switches and swapped the back side out so that I could have the blade connectors. No problems! While I had them apart I did notice that although the seller advertises them as "LED" lights, the light source inside the switch is actually a small incandescent bulb. I called the seller to let them know and they seemed genuinely surprised. They're looking into it... Not a big deal really but their advertising needs to be accurate. Nevertheless, I'm happy with the switch and would order again if I needed more. Great find, I really like this a lot better than the stock one! I may actually replace my stock with this one! 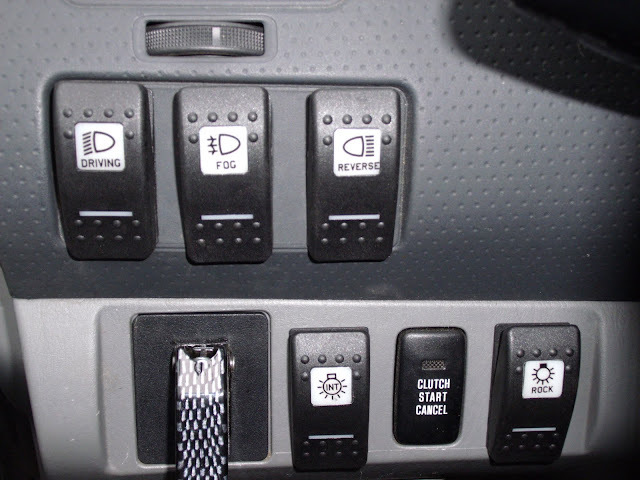 I have used these many times over the last few years putting LED lighting in my buddies trucks as well as switches for piaa's. Great product Oznium will always have my business. Another really cool thing that I forgot to mention is that they come in 4 colors: Red, Amber, Blue and Green. It occurs to me that you could use different colors for different lights i.e. 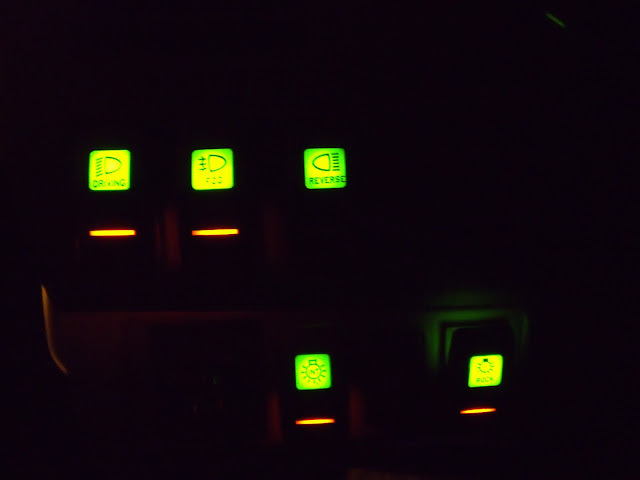 amber for fogs, blue for driving, green for rock lights etc. FYI, the same switches (maybe without lights) are available from Del City for less than $3. My off road lights are using one, works nice. Center off, SPDT. I'm a big fan of the Carling Conturas, they are water and particle proof too. $11 in OEM orange from mudstuff.co.uk, and you can get the labels from them too.